To ensure compliance with applicable state and/or federal fire safety regulations. This policy applies to all facilities on the Urbana-Champaign campus. Compliance with fire safety regulations, informational and educational fire safety programs, and the review of regular fire safety reports (related to corrective actions following inspections) shall be administered by Campus Code Compliance and Fire Safety (CCC&FS). On occasions when an authorized individual or government agency from outside the University conducts an inspection on campus, CCC&FS shall be notified and shall arrange for assistance from the appropriate University staff. 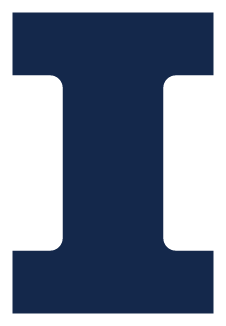 Campus Code Compliance and Fire Safety (CCC&FS) is responsible for ascertaining compliance with Campus, University, and other fire safety regulations in all University of Illinois at Urbana-Champaign general campus and auxiliary facilities. Departments shall provide reports of corrective actions to CCC&FS when requested to make corrections pursuant to an inspection. The designated fire inspectors assigned by the Fire Departments of the Cities of Urbana and Champaign under the terms of the Intergovernmental Agreement for Fire Protection Services will work cooperatively with CCC&FS in accomplishing these inspection responsibilities. CCC&FS coordinates and conducts a variety of informational and educational programs for faculty, staff and students to maintain campus awareness about fire safety responsibilities and evacuation procedures. Any department manager desiring information or a program for departmental staff should contact CCC&FS at (217) 265-5268. The designated fire inspectors assigned by the Fire Departments of the Cities of Urbana and Champaign under the terms of the Intergovernmental Agreement for Fire Protection Services will work cooperatively with CCC&FS in accomplishing these educational programs. Advice in these matters and interpretation of this policy may be obtained from the Facilites & Services Engineering and Construction Services Division, Campus Code Compliance and Fire Safety, (217) 265-5268.